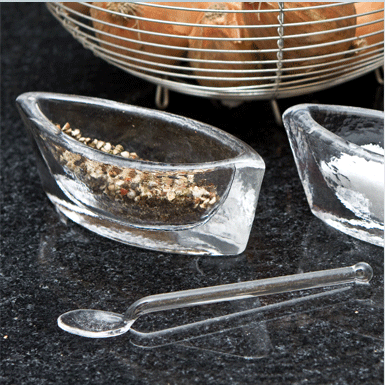 The little spice boat comes with a tiny glass spoon; you´ll love it straight away. Cast-moulding technique. Handmade. Spoon made from glass rods.